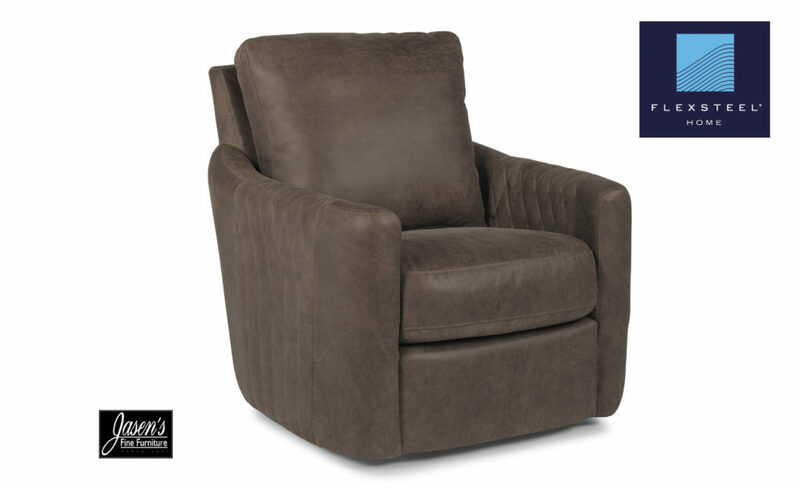 Flexsteel Poppy features swivel mechanism and full grain leather throughout. This chair makes a great accent piece with it’s style. The leather is supple yet rustic and natural as a result of the animal’s life. The chair features a smooth swivel glide mechanism and casual styling. The casual style of the chair makes it ideal for any home or room. The Poppy is a perfect companion for the ever popular Dempsey series. The chair is available in two timeless colors. With all the options available on this accent you can’t go wrong making it a part of your home!